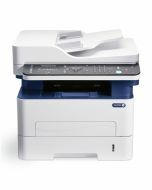 Designed to support the needs of a single user or small team, the WorkCentre 3215 streamlines your business operation by combining print, copy, scan, fax and email functions into one space saving device. 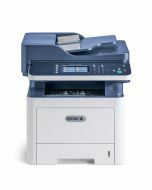 Print speeds up to 27 pages/minute and copy speeds as fast as 10 seconds mean you’ll spend less time at the device and more time focusing on your work. Product Size Dimensions: (WxDxH) 15.8 x 14.3 x 14.4 in. ; Weight: 24.7 lbs. 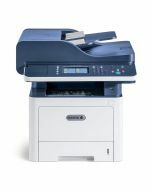 Document Handler Automatic Document Feeder: 40 sheets, 5.8 x 5.8 in. to 8.5 x 14 in. Media Sizes Main Tray: 4.14 x 5.85 in. to 8.5 x 14 in. ; Manual Feed Slot: 3 x 5 in. to 8.5 x 14 in.